A mild-mannered farmer searches for his mother's killers. I live a mere hundred or so miles from the border of Northern Ireland, but the country that shares my small island feels like a very alien place. It's a bit like Ireland, but not quite. It's a bit like Britain, but not quite. I've always felt Northern Ireland has more in common with the US than with either of its immediate neighbours. Its people have a fascination with country music, cars, religion and ice hockey, and guns are far more prevalent than in most corners of Europe. Perhaps this is why the Northern Irish set Bad Day for the Cut fits so comfortably with the current wave of rural American thrillers like Blue Ruin, Cold in July and Sweet Virginia. Were Bad Day for the Cut set South of the Irish border, many of its elements would feel anachronistic, as though its creators were merely imitating American genre cinema, but Chris Baugh's debut feature is both distinctively regional and global in its appeal. Like many middle-aged Irish farmers, Donal (Nigel O’Neill) runs the family farm, sharing his home with his aging mother (Stella McCusker, the Jessie Royce Landis to O'Neill's Cary Grant here). He lives a simple life, rising early to tend to the farm, and winding down with a few pints in the evening in his local pub. One evening, while passed out drunk in his newly acquired camper van, Donal is awoken by his mother's screams. Two men flee in a car before Donal discovers his mother's corpse on the living room floor, her head bludgeoned by a clock. The following evening Donal himself is attacked by two masked men, but manages to unwittingly kill one of them. The other, a nervy young Polish immigrant, Bartosz (Jozef Pawloski), begs for mercy, spinning Donal a story of how his sister is being held captive as a prostitute until he works off his debt to local gangsters. Taking Bartosz prisoner, Donal sets off in his van to find those responsible for his mother's murder. Bad Day for the Cut is very much a movie of two halves. Most effective are its earlier scenes, in which we spend time getting to know Donal, Baugh painting a realistic but amusing portrait of the unique loneliness of the unwed farmer that never feels like the film is mocking its protagonist's way of life. Baugh uses subtle strokes to tell us volumes about Donal's reliance on his mother, like how he sits down for his first solo meal and struggles to eke the last bit of mayonnaise out of its bottle. As the mild-mannered Donal - who clad in ill-fitting earth coloured sweaters, looks like that one unmarried uncle every rural Irish person has - O'Neill is excellent, his hangdog expression and consistently laidback attitude in the face of increasing danger making him impossible not to warm to. Asked how he met Bartosz, Donal simply replies "He tried to kill me, but it's all sorted now," a line that feels like a commentary on how Northern Ireland has moved forward in the years since the cessation of political violence. It's in the film's second half, when it directly references that nation's troubled past, that the tone considerably shifts from blackly comic to morbidly grim, territory Baugh seems less comfortable in. There's also a disparity in the quality of performances on view here, with the brilliance of O'Neill and Susan Lynch as a sociopathic gangster balanced by some amateurish supporting performances, a reminder that it's a film pulling from a limited talent pool. 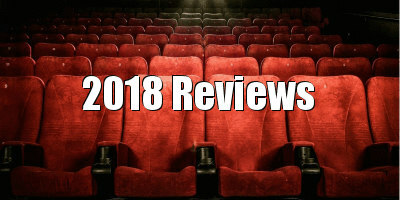 With this and last year's post-apocalyptic thriller The Survivalist, there's enough to suggest Northern Irish cinema, rough around the edges as it may be, is in healthy shape, though filmmakers like Stephen Fingleton and Baugh may need to leave their country to fully realise their potential. Bad Day for the Cut is on DVD January 8th.